The key to any successful marketing campaign is to know who you are targeting. 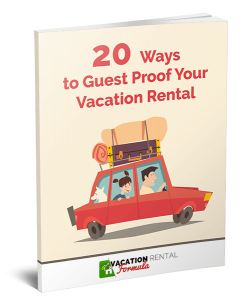 This is no exception when you are building a vacation rental marketing strategy. The first step is to develop the persona or avatar who will be the focus of your marketing efforts. Let's start with how they are used. A persona is a made-up, generalized character that encompasses the various goals, needs and observed behavior patterns of your ideal guest. 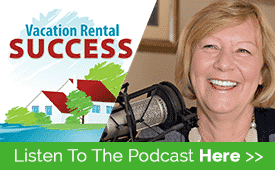 If you have been renting for a while you probably have a good grasp on what that person is like, and creating a model character or character can help you understand them better. 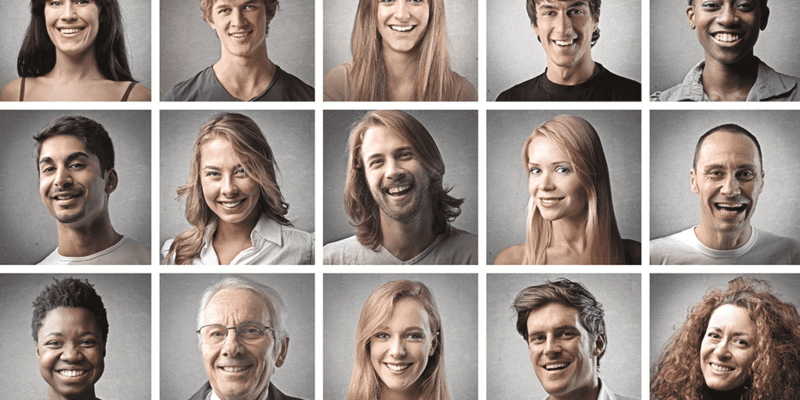 Personas have long been used by marketing departments to define their ideal customers. You’ve seen the auto commercials that target the family man trying to outdo his neighbor; the 30-something guy with the fishing gear, kayaks, and paddle board strapped to the roof; the smooth suited lawyer type, and the busy shopping mom who needs nothing more than a kick activated trunk? No automobile manufacturer is going to use their marketing budget on trying to sell a one-ton truck to a city type, nor will they get very far targeting the industrial market with a zippy little city car. Hyundai produced a fantastic commercial that was clearly focused on the young adventurer with their 2015 Tuscon SUV ad. In short, they know their market intimately so they can sell directly to them, pushing those buttons that will motivate them to buy. And, advertising companies spend millions on getting the personas right. They aren’t quickly created caricatures or stereotyped characters. These people have names, family history and job titles; they are defined by their age, gender, income, education, and social profiles. This ad is unlikely to appeal to tech-challenged seniors or harassed moms, and that is absolutely fine because these are not the demographics that Virgin is marketing to. On the other hand, who do you think this ad targets? This one is for the mom or dad who wants to stay in touch with friends but has other responsibilities…such as keeping baby happy. It doesn't matter or not whether you agree with the message; it is reaching the intended audience effectively. Next time you see a commercial or an ad that feels as though it is talking directly to you, it’s because you are their persona. Marketing and advertising agencies can spend millions on this process, but fear not, we can do this too, without spending anything but some time. Take some time and look at how advertising impacts you? When was the last time you bought something because the ad inspired you? In fact, have you ever thought about who you are targeting? That's just a very few of the guest profiles you may have at your property, and in all probability, you are taking a scattergun approach and hoping your marketing meets the needs of everyone who visits your listing. And, if you are already booked 80% – 100% of the time, you may not even need to consider doing it any differently. If you have vacancies and ever have difficulty filling certain periods of the year, then it is worthwhile creating some personas and then marketing directly to them. From choosing the listing sites where your personas hang out, to creating landing pages and focused blog posts on their specific needs and desires, a savvy owner can appeal to their prospective guests' emotions and lead them to book. Here's how two owners target their personas. 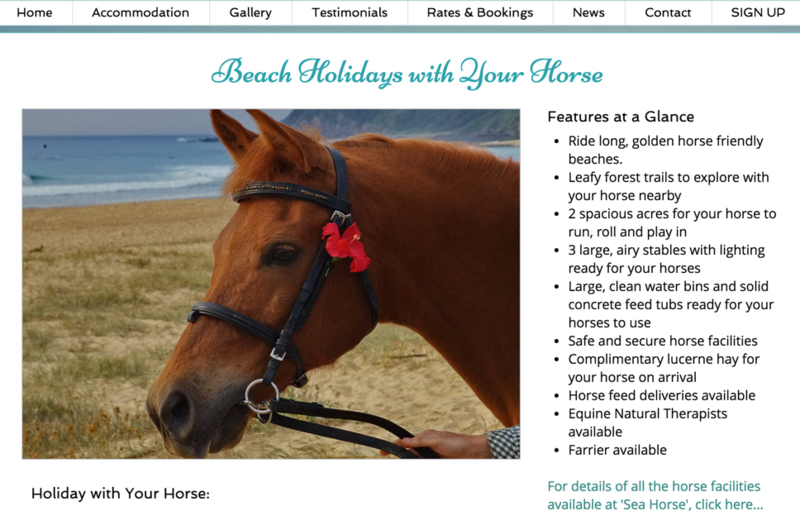 Dianne Denton from Sea Horse Diamond Beach has a specific landing page for her primary persona – guests who are bringing their horses. This targets the horse lover with answers to all the questions they may have about bringing their horses on vacation with them. Still in Austalia, Rex Brown looks to attract couples with pets to his country hideaway on the Wye River near Melbourne. This is more than just saying ‘pet-friendly' on a listing or a web page. It's appealing to the deeper emotional needs of pet parents who want their pet to be as welcomed as they are. Let's say your property won't attract the young and hip groups looking for trendy locations and action-packed vacations. Perhaps they are better geared to country types who are OK with the nearest McDonalds being a 45-minute drive and who prefer wilderness hiking to a Segway tour. That target group is likely to frequent specific social platforms; use a specific type of language; respond to blog posts featuring hiking trails and bike rentals, so if you try reaching them in other ways it may be a wasted opportunity. The concept of a persona is to be laser-focused on the person who is most likely to buy and to talk directly to him or her, through the platform he/she favors. If you are just starting out your list will detail the specifics of the guests you would like to attract. Kingfisher Cottage is located 8 miles from the nearest store, and that is in a tiny town with one set of traffic lights no decent restaurants, and little else to stand it out from any other you may pass through on the route to Ottawa. It is on a gorgeous stretch of river but the water is deep….very deep. It's great for swimmers and boaters but definitely unsuitable for toddlers or non-swimmers. However, for an active family with teenagers, there are stand up paddleboards, a canoe, a rowboat and lots of fishing equipment. There's a pool table in a guest cabin that the older kids love to take over because it sleeps up 4 of them and has its own satellite TV…it's a great hangout. The property attracts a different demographic at different times of the year so it will appeal to several very different personas. 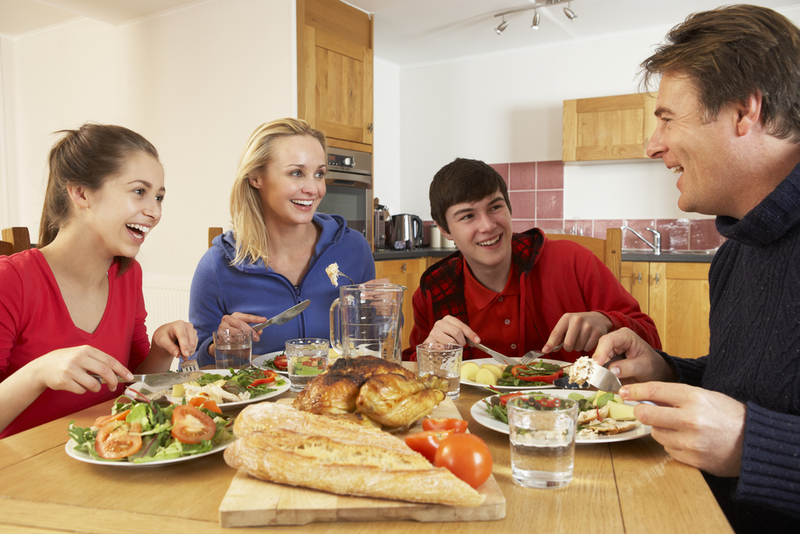 Our family persona in this instance is Janice – a nurse practioner who is 42. She is married to Stuart, aged 44, and he is a firefighter. They have two children in the lower teens who love outdoor activities and their ideal vacation is something that will keep their kids occupied without having to spend a lot to take them out. 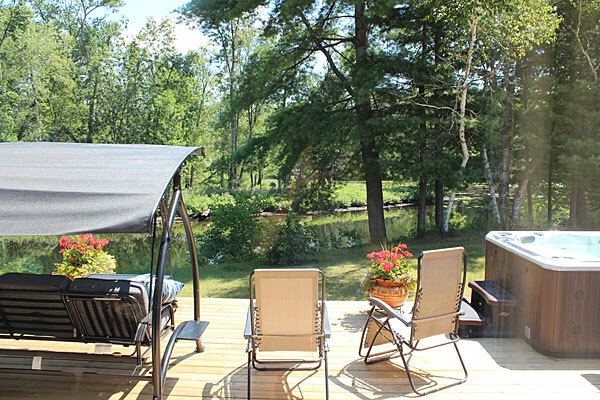 Janice's idea of a perfect vacation is complete relaxation with happy husband and kids. The kids need plenty of outdoor stuff to keep them busy, and Stuart is happiest standing on the dock with a fishing rod. In winter, the little guest cabin is closed up because it's not heated, so this season attracts a different kind of guest for the main cottage. These are couples in search of a romantic break, where they can chill out and enjoy the hot tub and have complete privacy. The LGBT market is a major spending group and make up a good percentage of the Toronto demographic. Our gay couple persona (Pete and Chris) are in their late thirties; Pete is an accountant and Chris is a digital media specialist. They live in a Toronto townhouse with their dog, Chewy. They are foodies and love to cook at home. In their free time, they like to get out of the city and are avid geocachers. Knowing our target audience allows us to design landing pages, newsletter, email broadcasts and special offers to draw their interest. For each piece of content, whether it's a blog post, an update on Facebook or a post to Instagram, think about the persona you are targeting. What might motivate Pete and Chris to book is likely to bring more of that demographic to your site, so keep them in mind when writing about being pet-friendly or having a gourmet kitchen. We’d love to know: Who are your avatars and how are you using them in your marketing? Leave your comments below and share this article with others in your vacation rental network that might get value from what we have shared here.